Thornbury wines celebrate life by matching New Zealand's favourite grape varieties with our iconic wine regions. The image of the dancing piper which adorns our bottles is Dionysus, the Greek God of Wine; he represents the fun and expressive character that epitomises our wine. What makes Thornbury different from the rest is that, instead of making just another range of wines to rival French or Australian counterparts, we make wines which celebrate the very best of the magnificent country we live in, New Zealand. 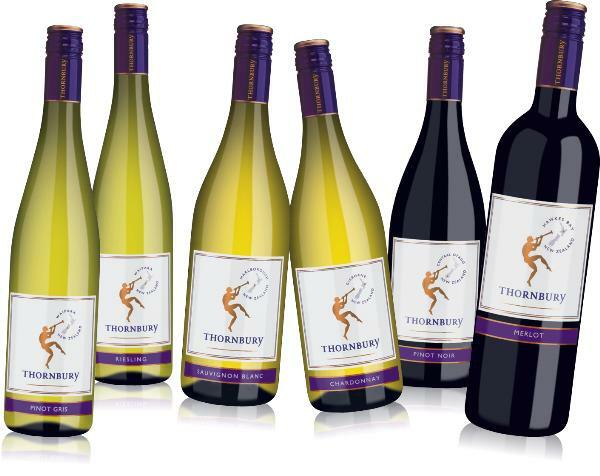 Thornbury wines are enjoyable to drink and are perfect matched with food.